As we move into the 21st century, the business landscape is evolving. In this book, the authors outline the steps to becoming a FuturePerfect organization, and the new leadership competencies necessary to achieve it. 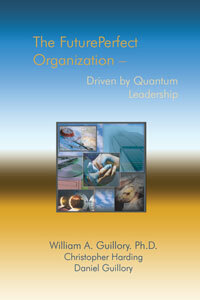 With real-life examples, practical tools, and leading edge concepts, Dr. Guillory creates a visionary roadmap for a successful organization and truly inspirational leadership.